When I met up with Melisa and Evan for their engagement photos, it was a wet day in San Francisco. The fog had been hanging around all day long and there was a slight drizzle falling from the sky. Luckily, Melisa and Evan have lived in the city long enough that a little dose of wet fog doesn’t faze them a bit. 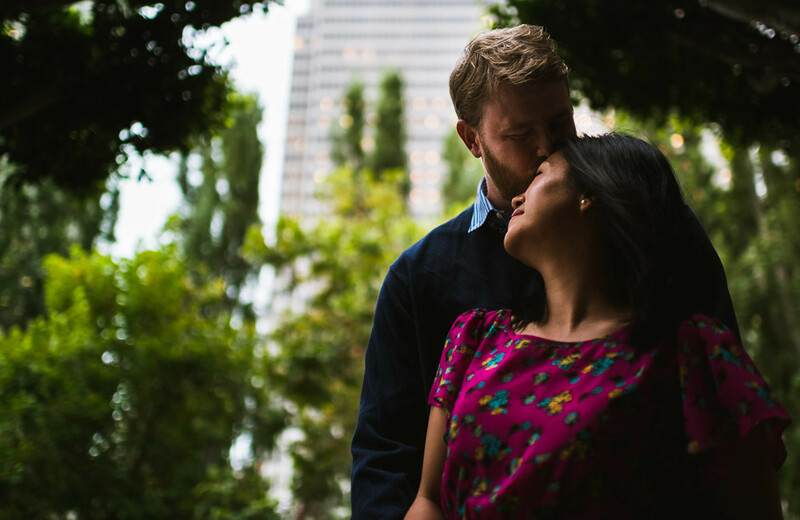 We shot around Alamo Square for a while and then headed down to Pier 7 for some city views. After spending a few hours with them for their engagement session, I can’t wait for their city wedding next year. I mean, are they not one of the cutest couples you’ve seen in a while??? Congratulations Melisa and Evan! I can’t wait for June to get here!!! Michelle and Brad Got Married! Joy and JJ Got Married!